Arctic Heating & Air, Inc. is dedicated to enhancing the level of indoor comfort control for our Los Angeles residential HVAC customers with the latest in air conditioning, heating and indoor air quality technologies. We feature York® air conditioners and furnaces for their top of the line efficiency and performance ratings. With Arctic Heating & Air, Inc. you get a Los Angeles residential contractor who understands that your requirements are truly unique. We don't just sell you a piece of equipment or rattle off answers without taking your needs into account. Arctic Heating & Air, Inc. technicians give you recommendations specific to your home for cost effective and efficient air conditioning, heating and indoor air quality options resulting in a healthier, more comfortable home! 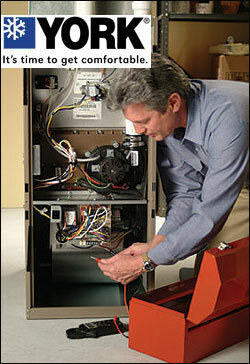 Arctic Heating & Air, Inc. provides our Los Angeles customers with extensive preventative maintenance plans. A commercial heating, cooling and ventilation system is no different than any other equipment: it requires attention to maintain peak running efficiency and performance levels. Arctic Heating & Air, Inc. preventative maintenance plans cover everything from tune-ups to seasonal preps and routine filter changes. Avoid the downtime and costly repairs associated with a neglected system by entrusting us with the ongoing care of your investment! 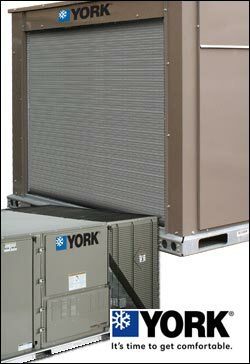 Why York® for your air conditioning, heating and indoor air quality requirements? Their innovation continues with residential units featuring technologies like ClimaTrak and QuietDrive, making their furnaces and air conditioners some of the most adaptive and quiet HVAC units you can purchase for your home. At Arctic Heating & Air, Inc. we have one primary goal: The complete satisfaction of our Los Angeles area customers. With York® residential and commercial air conditioning, heating and ventilation solutions, we know that our customers have the very best HVAC systems keeping them comfortable. It just doesn't get much more important than that.